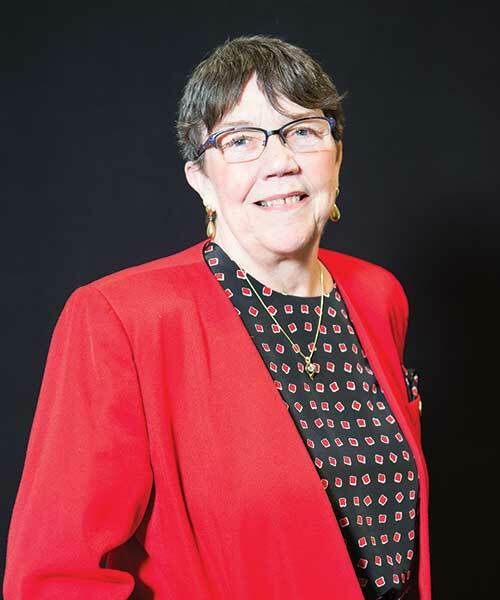 At the University at Albany, Susan Shipherd, B.S.’64, acquired knowledge that would serve her well in research and sales careers. The biology major also began cultivating friendships that would keep her involved, as both volunteer and donor, with UAlbany long after graduation. Shipherd, a Long Island native, transferred from Elmira College, eager to prepare for work in laboratory research. After earning her degree, she took a position in the library at Winthrop Labs in Manhattan, and later worked at Cornell Veterinary School and at several places in the Capital Region, including Albany Medical Center. At Krackeler Scientific, Shipherd worked on the firm’s first catalogue, then took a position as a sales representative for the company. Her clients included the University at Albany. Along the way, Shipherd has made, and retained, many other connections with UAlbany. Nine years after her retirement from Krackeler Scientific, she is “still friendly with some of the professors” who were her customers and sometimes visits them on campus. She remains active with the Benevolent Association board, the College of Arts and Sciences’ (CAS) Dean’s Advisory Council, and the UAlbany Alumni Association. Shipherd also enjoys attending UAlbany women’s basketball games and getting together occasionally with her Chi Sigma Theta sorority sisters. Two new friends – development officer Michael Boots and former University Art Museum Director Janet Riker – inspired the longtime donor to make a bequest intention to UAlbany. The funding will establish The Susan Van Horn Shipherd ’64 Endowment for the College of Arts and Sciences and The Susan Van Horn Shipherd ’64 Art Museum Endowment. Shipherd has also supported Initiatives for Women, the Chi Sigma Theta Scholarship and other University priorities. 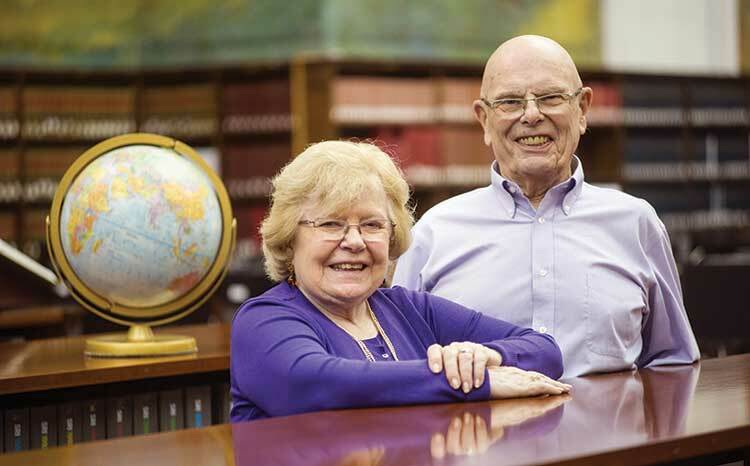 Henry Binzer, B.S.’60, M.S.’61, and Patricia Binzer, M.S.’65, Ed.D.’74, have made helping others their life’s work. As teachers, the now-retired couple educated students at all levels of the academic spectrum. As volunteers, they have worked tirelessly on behalf of seniors and various community organizations. And as donors, they are supporting the University at Albany School of Social Welfare’s Internships in Aging Project (IAP), which trains M.S.W. students to work with older adults and their families. The Binzers’ affinity for the School of Social Welfare was inspired, in part, by Pat’s mother. As a child, Pat would sometimes accompany her mom, a social worker who cared for “people of all ages” in Columbia County, New York, on her rounds. Pat and Hank were also impressed by SSW’s people and programs. “Social workers are so marvelous, so giving. As we came to know the school, we wanted to do something for the students,” said Pat, who earned a master’s in education and a doctorate in reading at UAlbany. Associate Vice President for Gift Planning Lori Matt-Murphy offered the couple several options that would maximize the impact of their gift while enabling them to generate “some additional cash flow” that would benefit them, noted Hank, a U.S. Navy veteran who received bachelor’s and master’s degrees in accounting and went on to teach at the University for four years. The couple decided to make a $100,000 contribution to IAP through a charitable gift annuity. A CGA pays the donor, and/or an individual designated by the donor, a lifetime annual income in exchange for a gift of cash or securities. The Binzers have had eclectic careers. Pat, who taught elementary school and reading, has also been an adjunct professor at both The College of Saint Rose and Skidmore; a commercial real-estate appraiser and a broker; a school-district consultant; and a grants writer. Hank retired from the New York State Department of Education, then went on to operate his own consulting business for 15 years. Like Pat, he volunteers for numerous Capital Region charities. The couple make time to attend UAlbany convocations, lectures and other events, such as the annual IAP fundraiser hosted by SSW alumni.